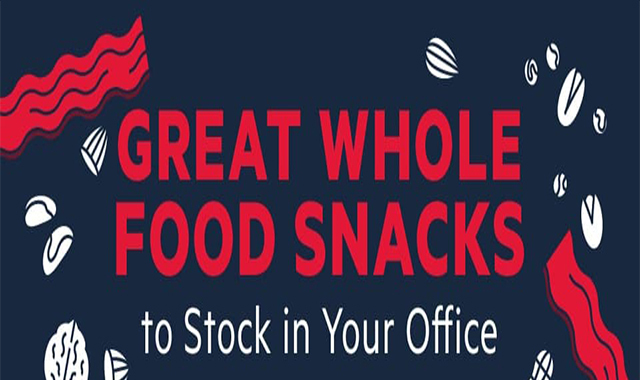 Great Whole Food Snacks to Stock in Your Office #infographic ~ Visualistan '+g+"
Whether you want to keep a healthy snack stash nearby at work or you’re in charge of your company’s healthy snacks initiative, great whole food snacks are easy to stock up on. After all, odds are you are one of the 94% of Americans who snack daily—maybe even two, three, or even four times a day. By making sure most of those snacks are healthy, stocking your workplace with whole foods won’t just be good for your body, they will be good for your productivity too.